Long-time Swan Districts Football Club major sponsor, Steel Blue, has renewed its commitment to the club for a further three years. Steel Blue began its partnership with the Swans in 2004 and has been the naming right sponsor for the club’s home ground for the past 14 years. The perennial home of the Swans, Steel Blue Oval, has become a significant landmark in the eastern suburbs of Perth. Swan’s Chief Executive, Jeff Dennis, said Steel Blue is a local West Australian success story and valued member of the club’s community. 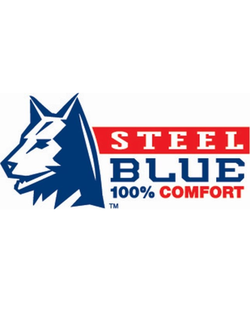 Established in 1995, Steel Blue has become Australia’s leading supplier of work boots, offering premium safety, durability and their unmatched 100% Comfort Guarantee. Ross Fitzgerald, founding Director and Chief Sales Officer of Steel Blue, was delighted with the ongoing partnership. “It has been our pleasure to be associated with the Swan Districts Football Club and naming right sponsors of the club’s home ground since July 2004. Our partnership has grown in 2018 through our mutual core values and focus on community engagement, resulting in Steel Blue extending our commitment to the club and naming rights sponsorship of their home ground for another three years through to 2021. The Steel Blue team feel privileged to support organisations at a grass root level and help keep the WAFL institution sustainable not just for the present, but for future generations of proud West Australians”.